What do you do first upon moving into a new place? Your artwork is a great starting point. It is a major design element. 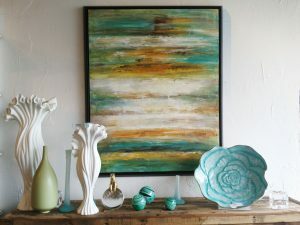 I always say that placing art in your home is like accessorizing an outfit. You can have a simple outfit and accessorize it with great shoes and jewelry and end up looking fantastic. However, if you have a great outfit and accessorize it poorly, then the overall look is drastically reduced. Let’s talk about what’s important to think about when accessorizing your home with artwork. Remember, your art does not need to match your furniture. Your art should set the mood and tone of your home and help to establish your personality and lifestyle. Throw away the status-quo and hang what you like. Great art needs a great frame, just like great accessories for a dress. It is very important for the frame not to overpower the art. Frame designs should be simple, pure, and repetitive. Framing is expensive, so do it once. Don’t try to match anything with the framing design. A good, clean museum look is always classic and timeless whether modern or traditional. How you frame your art determines if you will end up with a treasure to keep or a dull piece to throw away. It is of critical importance to use proper materials that deter and retard damaging elements to the artwork. Acid, mold, light and bugs present the greatest danger to your works of art. It is important to be a knowledgeable buyer and look for preventatives to the enemies. These range from cotton fiber paper, U-V blocking glass, frame airspace and paper backing. Check the edge of the art board. The opening is usually beveled. Look to see if it is a clean white. 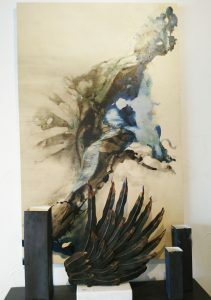 If it is yellowing or brown, the chances are that your mat board has turned acidic and is beginning to damage your art. Rub your hand across the paper backing on the back of the frame. If you feel ridges, it is very likely that the backing is highly acidic. *If you notice either of these immediately have your artwork reframed. How high should I hang my art? The quick and simple answer to this is eye-level, however, eye level is relative and so should be the placement of your art. You may then begin placing your furniture. You furniture placement will dictate wall spacing. 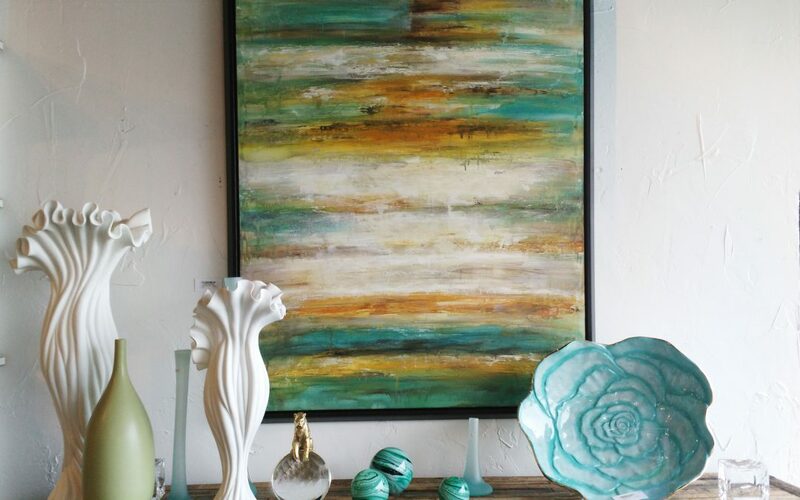 Example… possibly a small side table needs a piece of artwork nestled in low for the light to bring it to a glow. Remember, artwork does not have to eye level, it should be placed where it feels right. Now… get out the hammer and nails and let’s Move On In! Are you new to the NorthWest Louisiana area? We’d love to help you with settling into your new place. Visit our Services Page for more information on how we can help or call us at 318-868-3021.